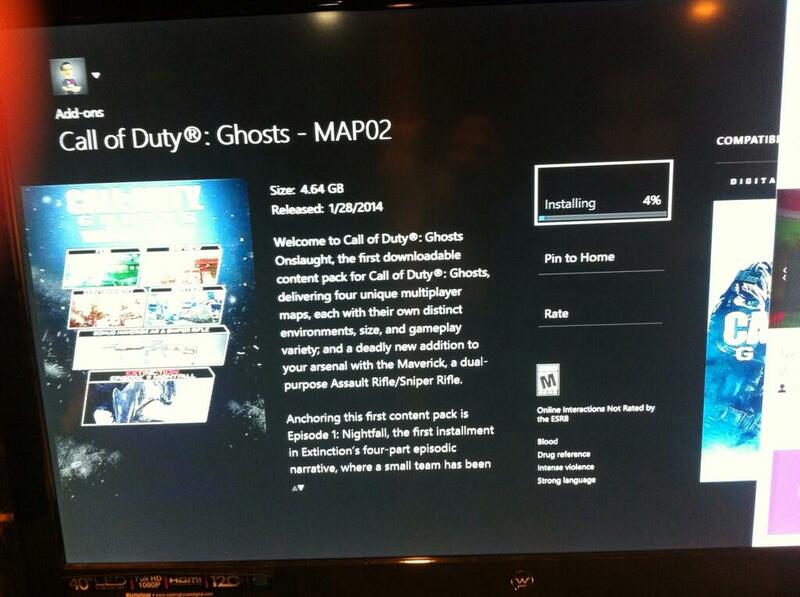 Onslaught, Call of Duty: Ghosts‘ first downloadable multiplayer add-on, now appears to be to rolling out on Xbox Live’s Marketplace. According to reports, the download weighs in at a hefty 4.64 GB and is now available for a number of users on the East Coast. The download will likely continue to open up for users throughout the night, during the early hours of the morning, so keep your eyes open! We got some early footage of the four brand new multiplayer maps; Ignition, Containment, Bay View, and Fog, along with gameplay of the new Maverick assault rifle/sniper rifle and nearly 13 minutes of new Extinction content during our recent visit to Infinity Ward’s studios. Check out our video preview right here. 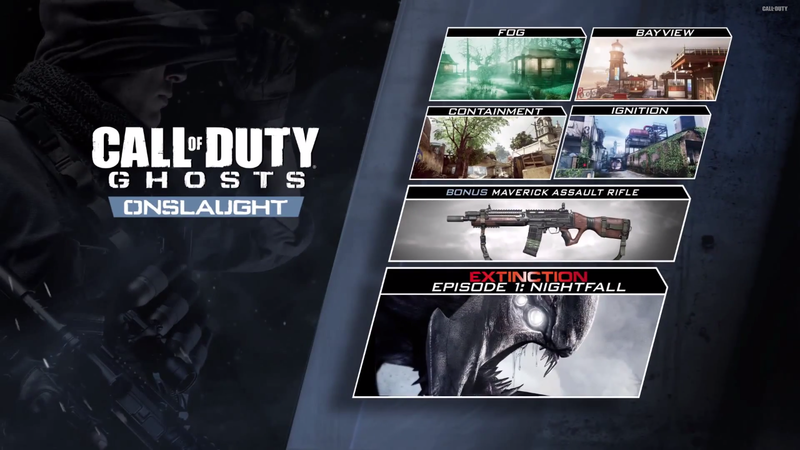 Onslaught is available for $14.99 as a stand-alone DLC, or included in the Call of Duty: Ghosts Season Pass. PlayStation and PC users can get their hands on Onslaught next month.